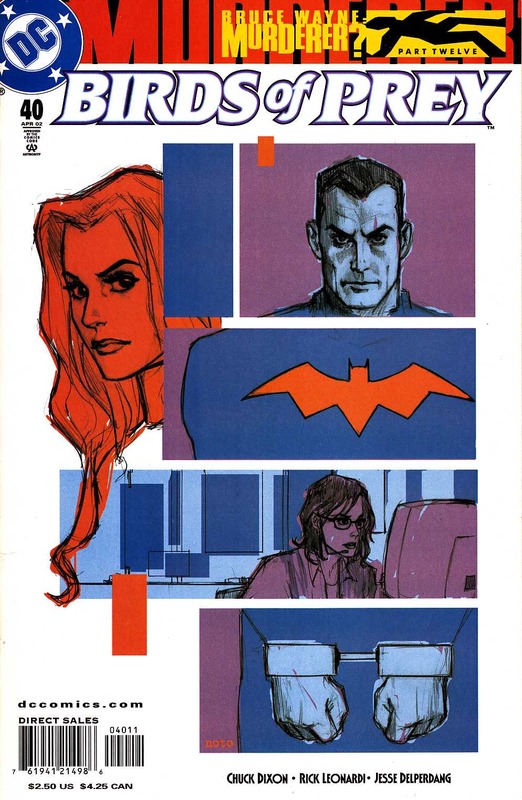 WRITTEN BY CHUCK DIXON; ART BY RICK LEONARDI AND JESSE DELPERDANG; COVER BY PHIL NOTO. "Bruce Wayne: Murderer?" Part 12! Black Canary picks up an unwanted sidekick in the Spoiler as she investigates the crime for which Bruce Wayne is accused. Meanwhile, Oracle begins to learn the secret that may have led to the murder, and Robin arrives just in time as the case against Bruce Wayne takes a dramatic turn. All that, and some disturbing news for Blue Beetle, too!